WC DART Turns 7 ! February 13th at 6:30 pm the WCDART Team will meet at Chili’s on Hartmann Dr.,Lebanon,TN. for a Dinner Meeting. 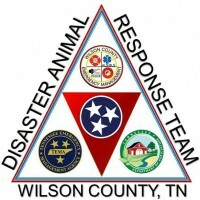 The Team will be Celebrating the longevity of WC DART serving Wilson Co. for 7 years! Congratulations and a Big Thank you to all the WC DART Team! Please RSVP by Feb.10, 2014 to WCDART@yahoo.com to reserve your seat! Family and Friends welcome to attend!